Volatile Air has always been one of the most expensive volatiles, if not the most expensive. It's the best volatile of this Cata gold guide aswell. There's also a bunch of new patch 4.3 recipes that also require Volatile Air, so at least their prices aren't going to drop anytime soon. What makes Volatile Air so expensive is the difficulty of obtaining it. It's hard to solo farm with drop rates of 14% or lower. Mobs inside instaces have a higher drop rate of up to 38%, but it's inefficient for most people to solo farm. It requires gear, skill and most of all the right class/spec. Some people like to duo farm Volatile Air instead. Even if you have to share the loot, you'll end up with more volatiles in most cases. 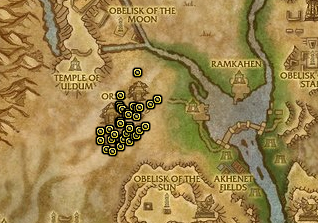 If you prefer instance farming, your best bet would be the Vortex Pinnacle in Uldum. If you're good at soloing, you may end up with even a stack of Volatile Air in as little as two runs, as all air elementals have a chance of dropping 1-6 of them. 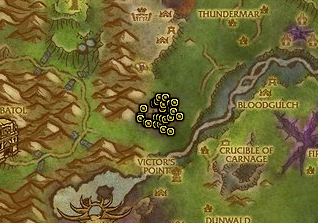 Do you know how much wow gold you can get from a stack? A lot! It does not matter if it's on heroic or normal mode. Keep in mind though that if you wipe a lot, your repair bills may negate your profits. Sometimes there's lot of relatively cheap Volatile Air available in the auction house. It's wise to buy these stacks and wait until their price is normal, or better, more expensive than usually and only then relist them. To keep track of their prices, use an addon like Auctioneer or Auctionator. Volatile Air can also be obtained by Miners, by mining, surprisingly. 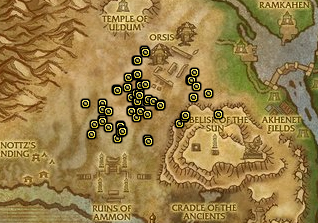 All rich Cata deposits have a chance of containing Volatile Air, but the best sources are pyrite and rich pyrite deposits in Uldum and Twilight Highlands. There's a second profession benefit however! Engineers with sufficient skill (440) can also obtain Volatile Air by skinning and herbing, and have an increased chance of getting some when mining. They need to have a Electrostatic Condenser in their bags though. It's not efficient, but is better than nothing. This is the most favored style, just pure Volatile Air farming! No gear or skill is required, except if you run into the opposing faction which often happens when farming Cataclysm trade goods. This is one of the reasons why it's better to farm TBC trade goods instead. Less time spent on pointless battles means more gold earned! Here's the Top-5 all time favourite (Non-elite) mobs for Volatile Air farming! Keep in mind that all of these monsters have a 9-14% chance of dropping 1-3 Volatile Air, meaning you could get 120 in a hour or as little as 15. 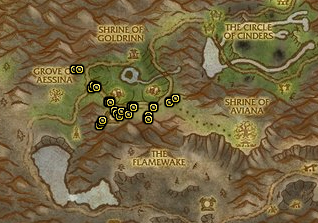 To see the spawn locations in greater detail, click on a monster's name. 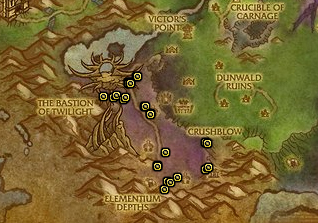 All spawn points provided by wowhead.com. You can also use the Living Elements transmute to get them. If you do the xmute in Uldum you will always get Air.